Troubadour’s three person pantomime for 2018 is the popular story ‘Sleeping Beauty’. 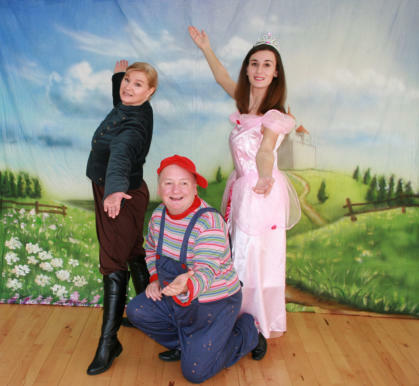 Meet the traditional pantomime characters: the comical Idle Jack, The King and Queen of Pantoland; quirky Nanny Nora; our hero, Prince Handsome; the baddie, Fairy Nightshade (boo!) and of course the sweet Princess Beauty herself. Gasp as the Princess sees the spinning wheel for the first time, boo the bad fairy as she works her magic on the spinning wheel and cheer as the Prince lifts the curse with true love’s kiss! A guaranteed happy ending and terrific songs from the films and shows. Available from 5 until 22 December 2018.